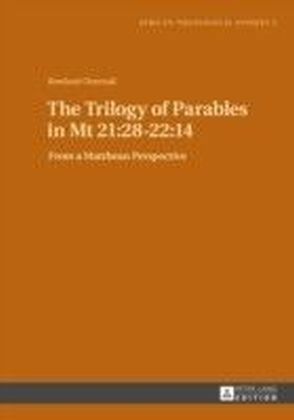 The parables of Jesus have undergone different transmutations in the long history of their transmission. The events surrounding his death and resurrection as well as the new situations his followers were confronted with after these events led to the parables of Jesus being given new accentuations according to the needs of the reflecting community. This is evident in Matthew's treatment of the parable trilogy of Mt 21:28-22:14. This work shows how Matthew has used the dominical parables and sayings found in his tradition to serve the needs of his community, especially in its struggles with the official Jewish leaders of his time. Through these parables, which he presented as a three-pronged attack against the Jewish leaders, Matthew shows his community as the true Israel, called to produce the fruits of righteousness. In this regard, the Jewish leaders stand for the members of Matthew's community lacking in the actions that define belongingness to the chosen people. This group has no part in the eschatological banquet.